Solomon prayed for wisdom. Samson prayed for strength. The leper prayed for healing. Jesus prayed for all believers. These, plus 46 more powerful prayers of the Bible are included in Prayer that Has the Power to Change Your Life. Each encouraging chapter highlights a prayer from the Bible, the prayer's context and background, the prayer's outcome, and practical life application and inspiration for the reader's own life. 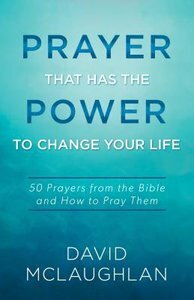 About "Prayer That Has the Power to Change Your Life"